Right out of the gate, the Audi A3 takes a big lead. Of the three cars, the Audi's graceful lines and baby A4 look makes it the best looking of this trio. The grill may be a little off-putting to some, but would probably look better if the car were a lighter color. Acura's ILX is not a bad looking car, but does look a little awkward from certain angles, especially when you can see the taillights bulge out from the back. It does have one of the better implementations of Acura's corporate grill though. As for the Buick? They went a little too conservative with the Verano and it ended up being pretty boring looking. 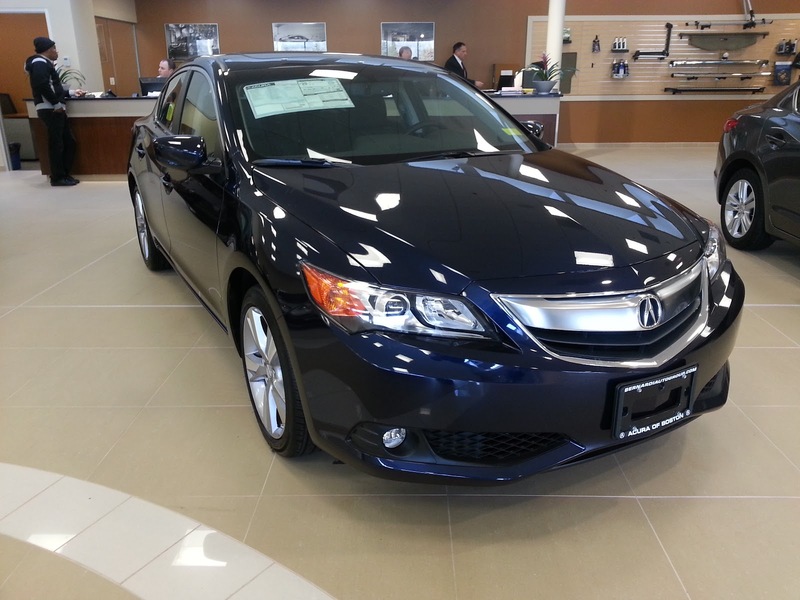 As mentioned in my review, it actually resembles the seventh generation Honda Accord sedan from certain angles. The excessive chrome is also overkill. This is a very difficult category to judge in this class of car. In order to keep prices low, each of these manufacturers had to cut corners, and usually the first place the cuts take place is in the interior. First and second place in the interior category were very close. While the Audi has a much cleaner design, the plastics used feel cheap and flimsy. The pop-up infotainment screen has a very "tacked on" feeling when it pops up. On the other hand, the Acura's materials feel better, but because Acura has not yet introduced its touchscreen infotainment setup to the ILX, it is cluttered with buttons. Unfortunately for Buick, their choice of faux wood and button clutter pushed it into third. When it comes to rear space, an area people seem to have the biggest complaints with these cars, Audi takes the win on paper. But despite having the largest amount of rear head and legroom on paper, it just does not feel that way. Both the ILX and the Verano feel like they are much roomier than the A3. As an overall interior package though, the A3 is still the better car, but not by very much. I know most of you are going to look at this category and think, "the only reason he picked the Acura as first is because it has a manual!" Honestly, yes and no. While the ILX is the only car in our round-up that has a manual, the Verano does come with a manual if you can find one with the optional 2.0 liter, turbocharged inline-four. That engine would also greatly out power the other two cars, making this comparison completely unfair. With that said, the other reason I picked the ILX for first place is because its 2.4 liter inline-four is incredibly smooth. Honda does make some of the best performing, and sounding, naturally aspirated inline-four engines. Coupled with one of Honda's amazing six-speed manual transmissions, it is a combination that is hard to beat. The Verano takes a solid second place. Its 2.4 liter inline-four is also very smooth, but does sound a bit raspy, especially when pushed hard. 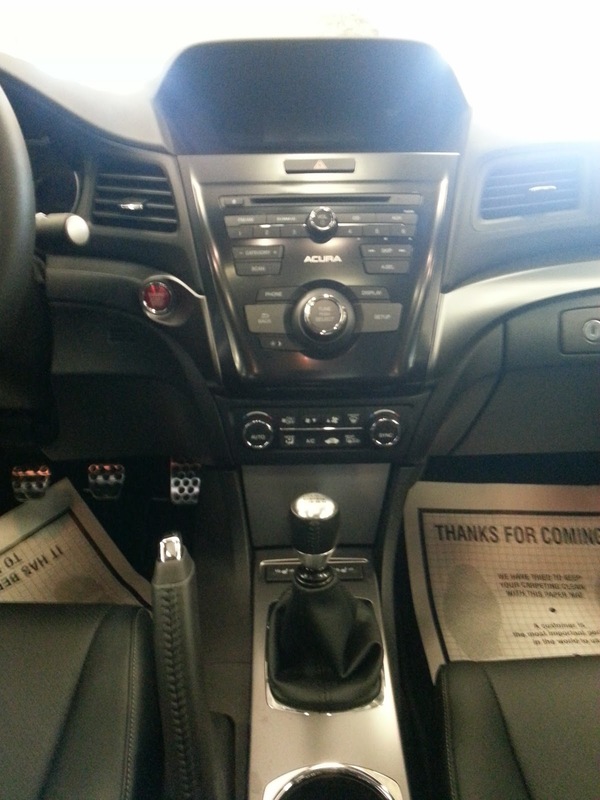 The six-speed automatic shifts relatively smoothly on its own, but does have that annoying delay when shift manually. So why does the Audi take third? While the S-tronic dual clutch transmission is actually pretty good, it does not feel like a good fit with the incredibly laggy engine. Turbo lag is very apparent on the A3 and it is incredibly irritating when trying to accelerate in everyday traffic. While Audi also seems to get the same complaints about their more powerful 2.0 liter turbocharged engine, it feels much more drivable with the company's eight-speed automatic. Perhaps the eight-speed would have been a better match for the 1.8L turbo as well. This was a very close category. Though the engine was very laggy and did not match well with the transmission, the A3 does happen to handle and ride quite well. Of the three cars here, it had the best steering feel, a firm ride without being too harsh, and solid handling. 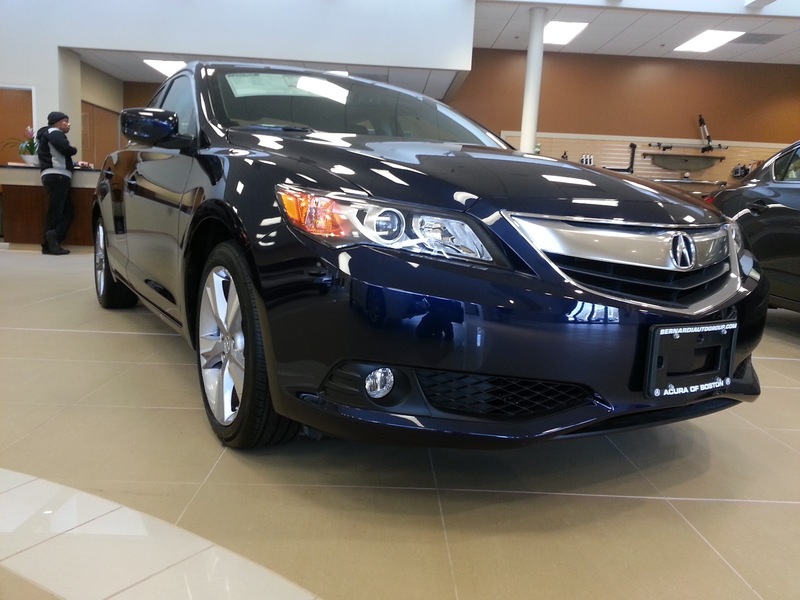 The ILX could have taken first place, or at least tied, if the steering were better. While it is fairly precise, it does feel a bit over boosted, giving it that artificial feel when turning quickly. The handling was a bit on the soft side too. Despite sharing many of its components with the performance oriented Honda Civic Si, the suspension tuning was one of the things I had hoped the ILX would have also shared. As for the Buick? It did handle surprisingly well considering that it is not marketed as a "sports sedan" like the other two cars are. Because the car is not marketed as a sports sedan, the car definitely rides more on the comfortable side. Though fairly precise, the Verano's steering offered the least amount of feedback of the group. The steering feel alone was enough for me to put the Verano in third place. As you move up in size and price class within the many luxury manufacturers, you expect the cars to get quieter. Just because these are entry-level cars does not mean that you can get away with building a car that has no sound deadening and vibrates all the way down the road. With that in mind, Buick takes first place in this category. With its quiet interior, the raspy sounding engine is almost never heard until you hammer on the gas. Nary a creak or squeak interrupted what was probably the smoothest ride of these three cars. Taking second is the ILX. It is certainly quieter than its parent car, the Honda Civic, but wind and road noise still permeate the cabin as speed increases. Audi's A3 lands in last place for one big glaring problem: the entire car shudders while idling. This is a pretty big issue for any car. I am not sure if it is related to the engine or the transmission, but I certainly hope this is an isolated incident and not normal on every car. Each of these cars have their share of problems relating to cost cutting. All three cars have some interior and exterior features that look and feel cheap. Luckily, despite the cost cutting, all of these cars come fairly well equipped. The difference though is how much each manufacturer charges for what they feel is "well equipped." 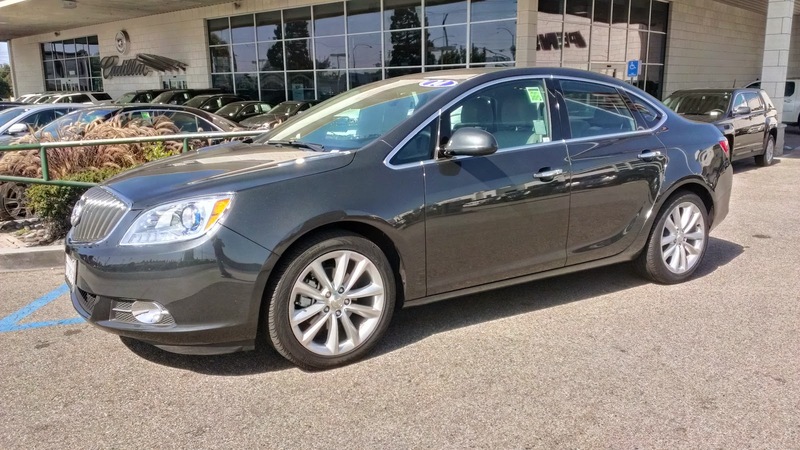 In this aspect, the Buick Verano clearly takes the win. With an MSRP of $24,870, the Verano actually comes better equipped than both the ILX and the A3. The ILX takes second with an MSRP of $29,200, and an equipment list that does not quite match the Verano, but still out classes the A3. Speaking of the A3, it is easily the most expensive car in this group. With an MSRP of $32,450, it has fewer safety features than the Verano, has roughly the same amount of tech gadgets as the Verano and ILX, but does not even come standard with a back-up camera. Frankly, MMI alone is not worth the obscene extra cost Audi expects you to pay for its car. This comparison ended up being extremely close, with only one point separating each position. In the end, Acura's ILX takes the win, but only by a hair. The fact that it is basically a re-skinned Honda Civic Si is not necessarily a bad thing, as the Civic Si is a fine driving vehicle. If there a few things I could fix about the ILX, it would be to give the six-speed equipped car the Civic Si's limited-slip differential, make the navigation package available on the 2.4 liter, six-speed manual equipped car, and offer this "performance" version of the ILX with a six-speed automatic. Frankly, Acura is really crippling its sales by not offering the navigation package on the manual equipped car, and not offering an automatic on the engine most people are actually interested in. As a note, even though the ILX is now into its 2015 model year, there have been no significant changes to the 2.4 liter, six-speed model since its debut as a 2013 model. The A3 is a decent vehicle, but is just too overpriced. 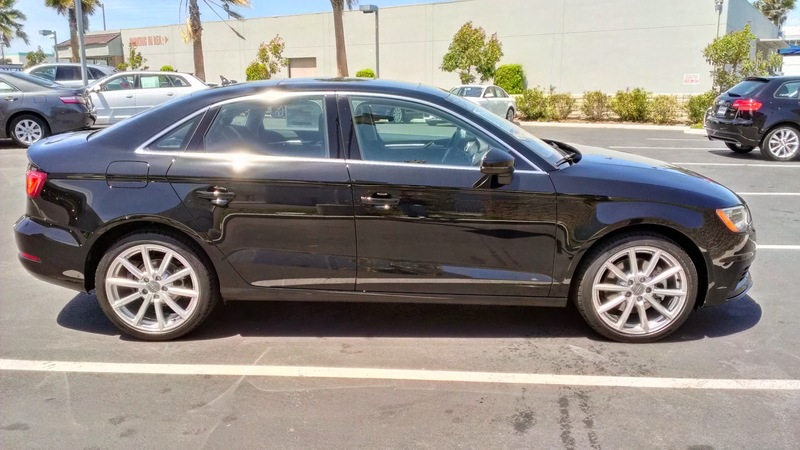 In my review of the A3, I mentioned that a similarly equipped A4 is roughly $2,500 more than an A3. 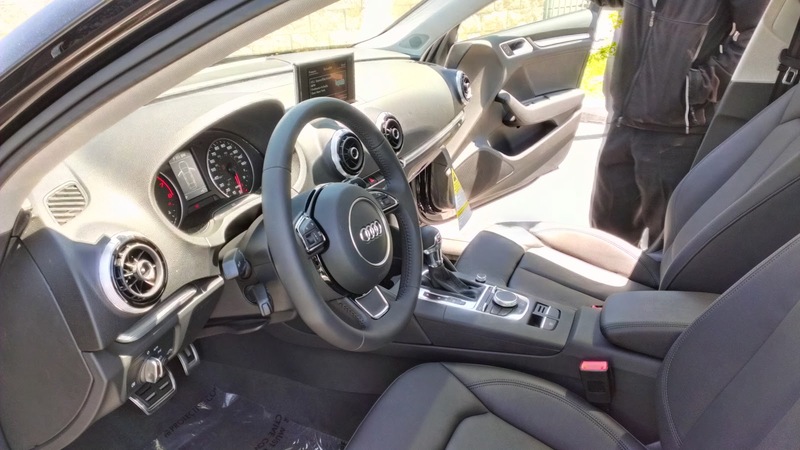 With the A4, you get the more powerful 2.0 liter turbocharged engine, an interior that feels like it's worth $30,000, and a noticeably bigger car. Just like how the Acura ILX is essentially a rebadged Honda Civic Si, the A3 is essentially a re-skinned Volkswagen Golf, but not in a good way. 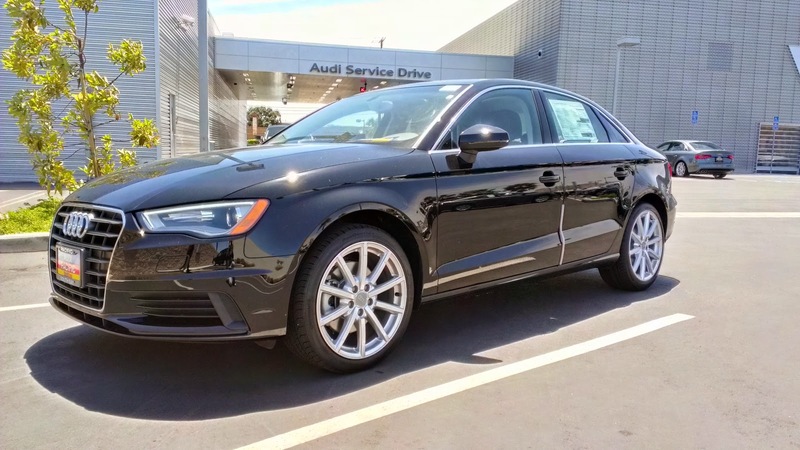 With the way the A3 is equipped and trimmed, you would expect it to be on sale at a Volkswagen dealership, and not an Audi dealership. If Audi brought the price down a few thousand dollars, it would make the A3 a more compelling option. And what about the Verano? Like I said in my review, it has potential. 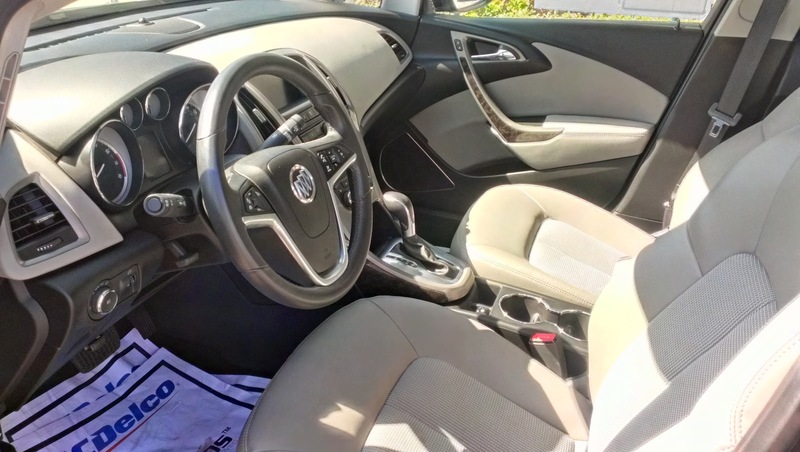 If Buick can fix the cheapness of the interior, get rid of some of that chrome and make the exterior more interesting while maintaining the same price, the Verano could easily widen its sales lead gap. Yes, of the three cars, the Verano is currently outselling both the ILX and the A3, and I can see why. 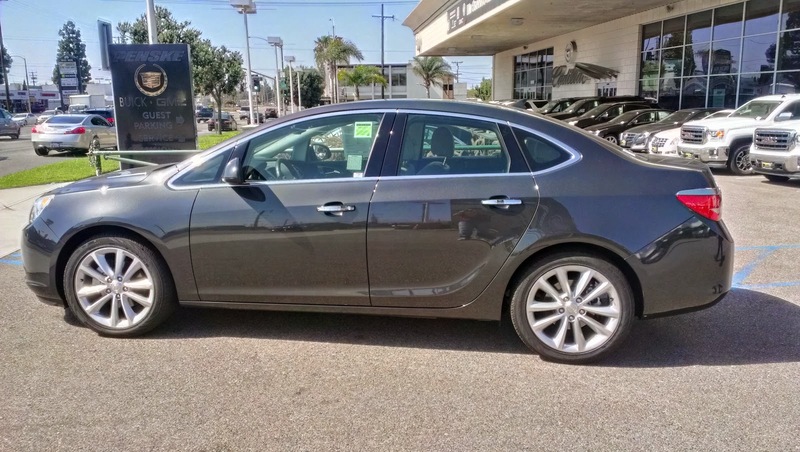 It is a decent car, and the price does make it very enticing if you are looking for an entry level luxury vehicle. Honestly, this was a very difficult comparison to do. As I had mentioned in my editorial on the new "entry-level luxury" class, many of these cars are overpriced, under-equipped, and have cut too many corners to hit a price point. With maybe an exception in the case of the Verano and ILX (for now since the only Acura sedan above it now is the full-sized RLX), nothing in the entry-level class is really worth your hard earned money when you could get a similarly equipped vehicle in the next size class for not much more. I have a very difficult time recommending anything in this class to anyone, but if you must have a luxury marque on your compact sedan, then I suppose the points differential of this comparison shows that all three of these cars are at least worth a look.